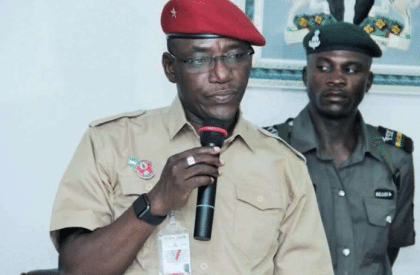 Nneka Anebeze, Abuja: The Minister of Youth and Sports Barrister Solomon Dalung has announced that only athletes below 15 years of age will henceforth be allowed to take part in the National Youth Games. Barrister Dalung made this known at the closing ceremony of the weeklong games on Saturday in Ilorin, Kwara state. The Minister said the new rule is to ensure that the objectives of the youth games are achieved and reduce age cheats. “I wish to reiterate that from the 4th edition of the Games, the maximum age of athletes will be pegged at 15 years to enable us to fight age falsification and achieve the long-term objectives of the National Youth Games. “One of the objectives of the Youth games is to create the right platform for new talents to be discovered and nurtured for future competitions. The purpose will be defeated if at the end of the games we still come out with the same old athletes. “We will continue to put machinery in place to ensure that a sustainable program is put place for grassroots sports development. The Minister also reiterated the ministry’s resolve to improve on the standard of the Games in future. “We will involve all stakeholders including our sponsors and partners to improve the standard of the National Youth Games. The number of sports participated in this year increased from 15 in the last edition to 28 with 2,934 athletes taking part in 135 events. “In the next edition, we will streamline the number of events to reduce the burden of hosting the event,” the Minister said. Barrister Dalung thanked the Vice Chancellor of University of Ilorin Prof. Abdul-Ganiyu Ambali for hosting the last two editions of the games. Minister Dalong also commended the Kwara state government and the Ilorin Golf Club for granting the use of the state and privately owned facilities to the athletes and prayed for a sustained collaboration in future. Delta state won the 3rd National Youth Games with a total of 60 medals comprising 21 gold, 16 silver and 23 bronze while Akwa Ibom came second with a total of 46 medals. Ondo state placed 3rd with 36 medals while the hosts settled for 4th position with 29 medals. 34 states and the FCT took part in the week-long competition.